Doors open 16.30. 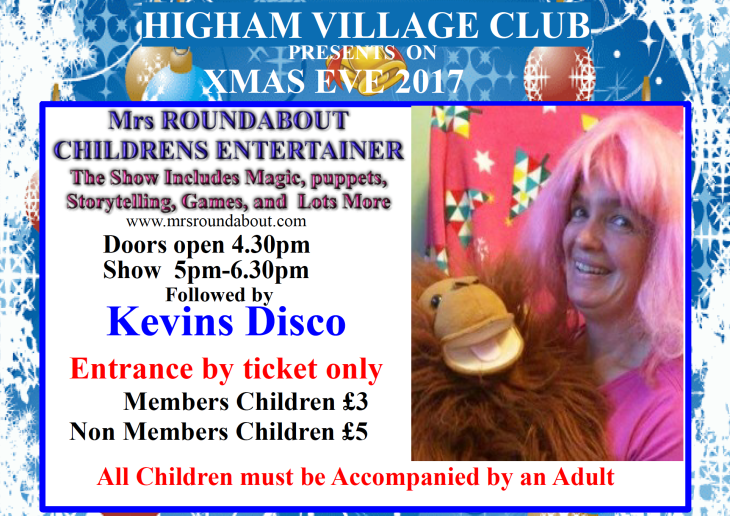 Children's entertainer - Mrs Roundabout from 17.00 followed by Kevin's disco until late. Tickets for children to be purchased.